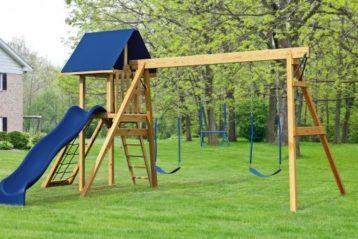 At Hitching Post Backyard Structures, we have been selling, servicing and installing backyard swing sets in Florida for over 30 years. 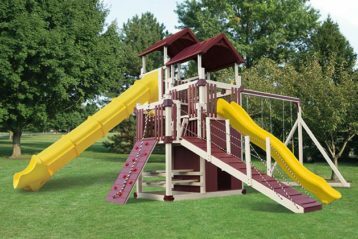 We have worked on thousands of outdoor playsets all over the state. 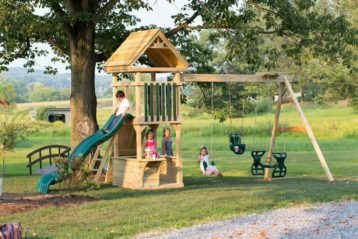 Our playsets are built to last by Amish craftsman and come with a 10-year warranty. We can also service your needs as your family grows. 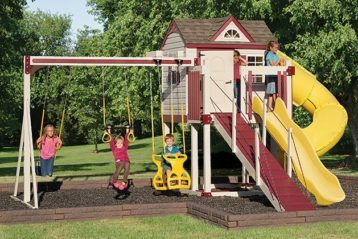 Need to swap out a toddler swing for a belt swing? 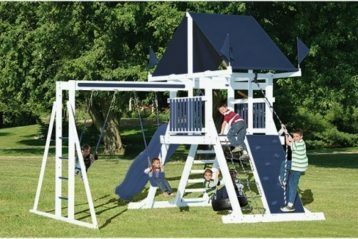 Remove a belt swing and add a glider? No problem! 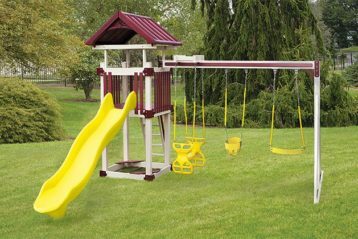 We have parts and accessories, so your custom built backyard swing set can grow with your kids! 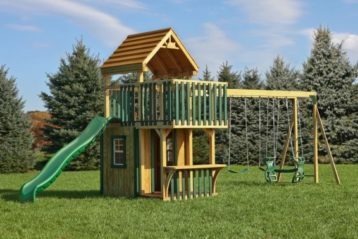 Check out the outdoor playset gallery below to view some of our available styles. 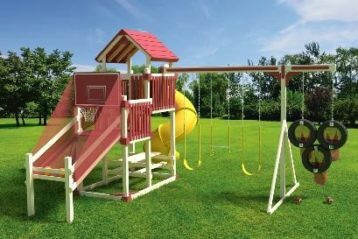 We encourage you to visit our Delray showroom to see our playsets in person. 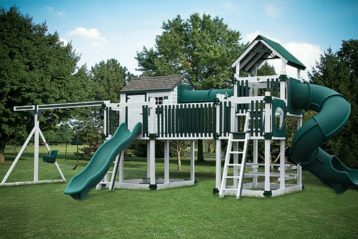 Your kids are welcome to play on them while we discuss your options. 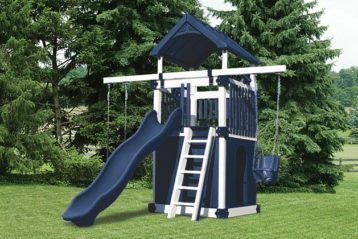 Feel free to call us for a quote or with any questions, we are here to help! 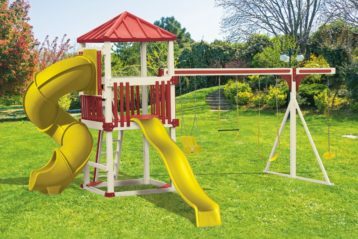 Interested in adding a protective canopy to your child’s outdoor playset? 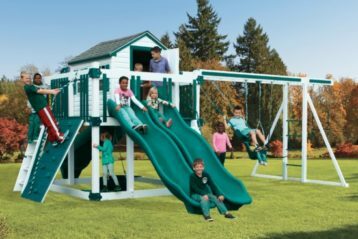 Browse through Kool Kid Shady to learn more about how to protect your children from harmful sun rays while they play outside.